All-electric Subaru Forester, Crosstrek, Outback and Ascent vehicles are coming sooner than you think. See how Subaru will use external expertise to pull it off. Subaru Corp needs to move their entire lineup of all-wheel-drive vehicles towards all-electric drivetrains but how will they do it? Customers in the near future will be driving an all-electric Forester SUV, Outback Crossover/SUV, Crosstrek small SUV, and Ascent 3-Row SUV sooner than you think. Customers will see radical changes in the Subaru lineup because the small Japanese will use internal and new external expertise to get there. Subaru Corp just announced they have invested in three new companies that will help the small Japanese automaker generate new ideas and innovation by actively bringing in external expertise. Subaru Corporation has just completed investments in three start-up companies through its SUBARU-SBI Innovation Fund. Subaru invested in Bye Aerospace, Inc. in Colorado, a company that designs, manufactures, and sells all-electric aircraft. They also invested in AEye, Inc. in California who develops artificial perception systems for autonomous vehicles. The third company is aptpod, Inc. in Tokyo, Japan who develops M2M/IoT software/hardware development, and M2M/IoT cloud services. As Subaru Corp said in its mid-term management vision called “STEP,” Subaru aims to become a trusted brand that resonates with customers through its products and services in its automotive and aerospace businesses. These three companies will allow Subaru to tap their knowledge and apply it to their cars customers will be driving in the near future. Customers looking for SUVs with all-electric powertrains will be able to get new-generation Forester, Outback, Crosstrek or Ascent SUVs with zero-emission technology. The new 2019 Forester, Crosstrek and Ascent ride on the all-new Subaru Global Platform that all new-generation Subaru vehicles will have underpinning them, making it adaptable to multiple powertrain options. The new architecture allows a single concept design for the development of all models, adaptable to plug-in-hybrids and electrification in the near future. Subaru vehicles will be able to be designed with gasoline boxer engines, hybrid powertrains, plug-in hybrids, all-electric cars, and other types of alternative power units for which demand will increase further. 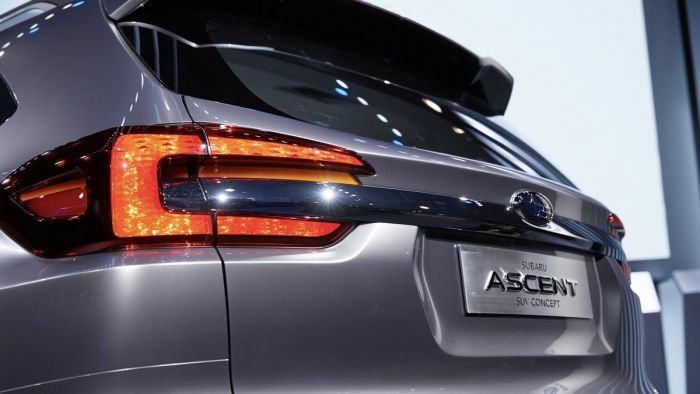 Customers in the near future will be driving an all-electric Forester SUV, Outback Crossover/SUV, Crosstrek small SUV, and Ascent 3-Row SUV sooner than you think thanks to investments in three new companies. I've been waiting 3 years for Subaru to do something. I plan on buying a 2019 Forester this summer since my 20 year old 4runner won't last much longer. If I wait another year I'll be disappointed that Subaru hasn't done anything yet. If I buy this summer they will probably announce an electric Forester (what I've been wanting) the day after I buy an ICE Forester. I'm just curious if electric Subaru's are coming sooner than we think??? In all serious, this author is terrible. Were you having a stroke when you wrote this? How many times are you going to repeat yourself in this article. It reads like a 5 year old wrote this piece of trash. Are you having a brain aneurysm right now!?!? Seriously, don't ever write again. It's pure garbage. I read this and think an idiot wrote this. l actually hate you. Totally agree here in Quebec. I am in wait mode to replace the current 7 year old Outback with an all electric model. The article provided nothing new, certainly not some idea of the "when" we are looking for. I think the lack of a firm release date is already impacting sales and has certainly caused me to look at other options.